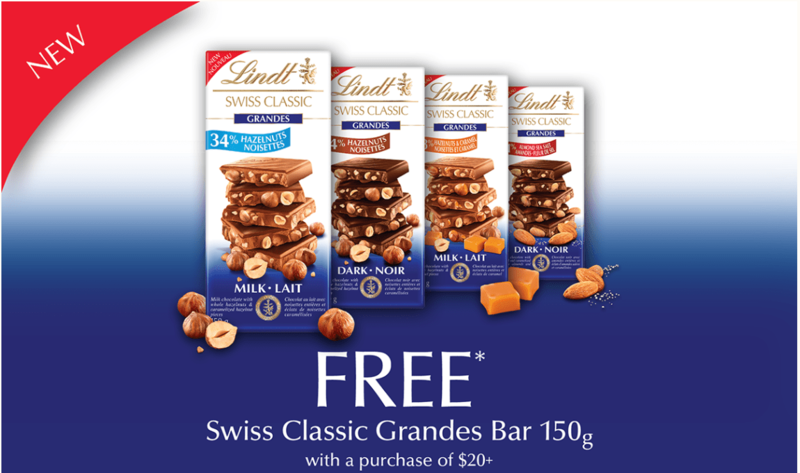 Lindt Chocolate Canada has a sweet offer available now, in-store for a limited time, while supplies last, where you can get FREE Swiss Classic Grands Bar 150g with a Purchase of $20 or more. Available in 4 delicious flavours including Milk Hazelnut, Dark Hazelnut, Milk Hazelnut & Caramel, and Dark Almond Sea Salt. One Free bar per customer.